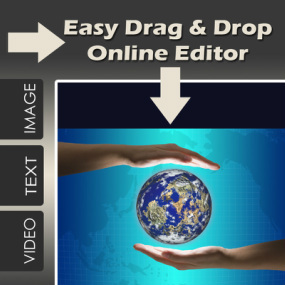 With our easy to use drag and drop website editor, anyone can log in and easily make changes to their website right from their browser. No special software is necessary, and no complicated coding or programming is needed to keep your site up to date! You are always in control of your website! You get integrated statistics, easy social media integration, unlimited bandwidth, streaming videos, blogs, automatic mobile site conversion, and more! Addison Multimedia creates custom, professional website designs, and will handle all the technical, behind-the-scenes, work that you don't have time for! Our goal is to take the hassle and confusion out of the website creation process! No hidden fees. No messy domain registrations. $35/Mo. for our Pro website package or $55/Mo. for the complete Premium website package. ﻿*﻿ Weebly offers email forwarding and gmail integrations for an added cost. If you are interested in setting up a web-server, a place to host existing website files, or need an FTP account click here.